Macintosh 512Ke: A ‘low-cost’ Mac. Sort of. The fourth Mac model released, the Macintosh 512Ke served as a lower-cost alternative to the Macintosh Plus, which shipped three months earlier. While the Mac Plus cost $2,599 when it launched (around $5,904.45 today), the Mac 512Ke cost $1,999 (the equivalent of a still-not-exactly-cheap $4,541.36 in 2018). Buyers of the Mac 512Ke could trade in their machine for a Mac Plus for a one-off payment of $799. However, that meant they would pay more than if they just bought a Mac Plus outright. For their money, Mac 512Ke buyers got an 8 MHz 68000 processor (the same as the earlier Macs), 512k of RAM and that 800k floppy, but no hard drive. This came packaged in a beige (at first) all-in-one case, with a 9-inch monochrome display. It shipped with Mac OS System 3.0, but could be upgraded to support System 6.0.8. Although Steve Jobs was already out of Apple, the Macintosh 512Ke retained his philosophy that Macs shouldn’t be expandable. Apple was already moving away from this stance with its higher-end Macs, since the Mac Plus allowed memory expansion. The Mac 512Ke came with no memory-expansion slots. However, it was among the first Macs (maybe even the first?) that could be used as an AppleShare server. Mac 512Ke: What’s in a name? As older Apple fans might remember, the company’s product line names could prove confusing. The same Macs often got different names depending on the sales outlet. As someone whose early memories of Apple come from the 1990s, I always associated this naming oddity with that decade. The 1980s enjoyed straightforward product names like the Macintosh SE and Macintosh II. In fact, this “Today in Apple history” pick shows that Apple’s unfortunate naming convention began relatively early in the Mac’s lifespan. While regular U.S. customers bought this machine as the Macintosh 512Ke, Apple also sold the computer to the education market as the Macintosh ED. That version came with a Mac Plus extended keyboard. 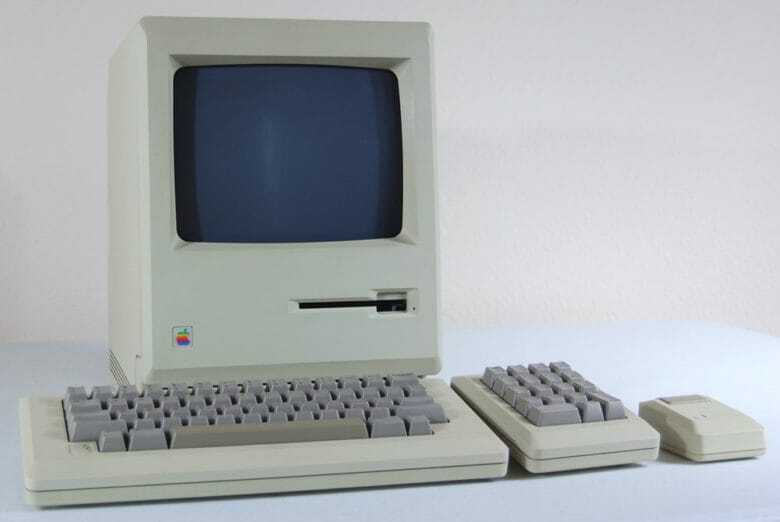 That same model, complete with Mac Plus extended keyboard, also sold to non-education customers outside the United States under the name Macintosh 512K/800. To add one final complication for Mac completists, in 1987 Apple gave the Macintosh 512Ke an aesthetic face-lift by switching to the Platinum color scheme. That meant changing the 512Ke’s front bezel to that of the Macintosh Plus. But the internals and name remained the same. Apple ultimately canceled the computer in September 1987. Do you remember the Macintosh 512Ke? Leave your comments below.